If you are looking for an innovative and practical LED torch that helps you get the job done, you have come to the right place. 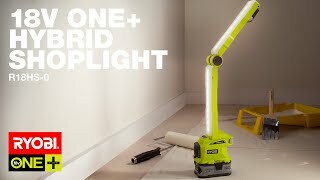 Hybrid technology means the Ryobi ONE+ shoplight is a complete lighting solution all on its own. Cordless shoplights are handy in many workshops, whether the job involves getting into those difficult corners or simply needing to walk around to different areas with ease. Don't stay in the dark when it comes to workshop lighting! 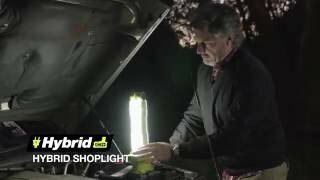 Get your Ryobi LED shoplight now to start enjoying brighter days. 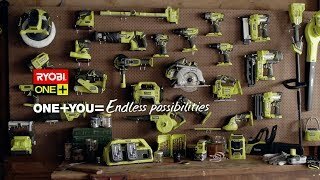 These LED lights are sold through your nearest Bunnings Warehouse - call ahead to check availability or head down to find more quality Ryobi products. Multiple hanging options with hooks, screw holes and the carry handle.